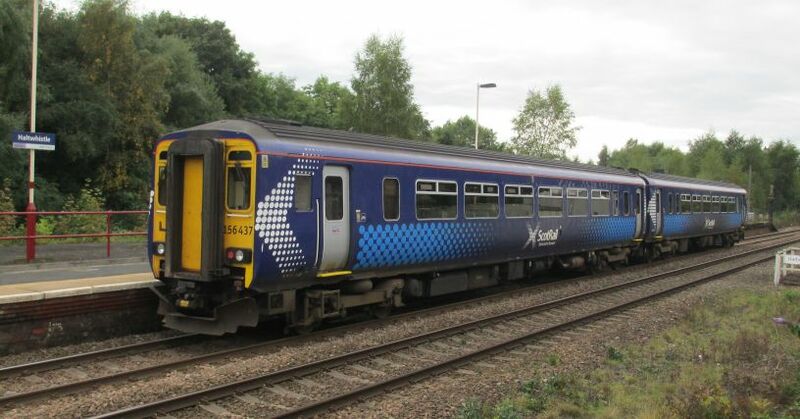 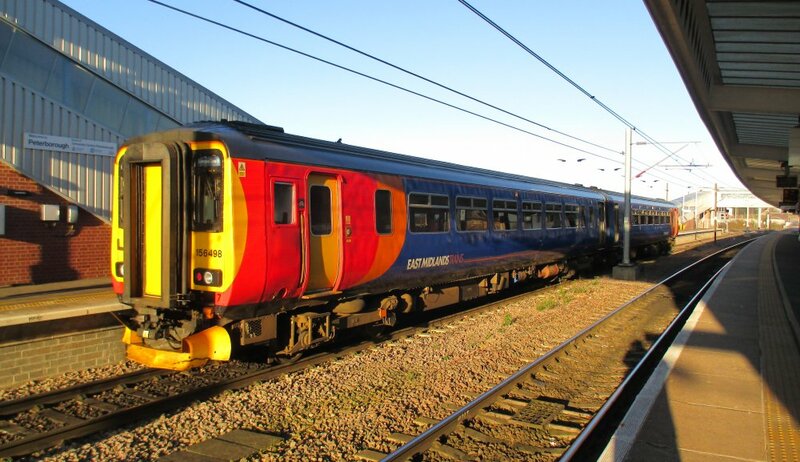 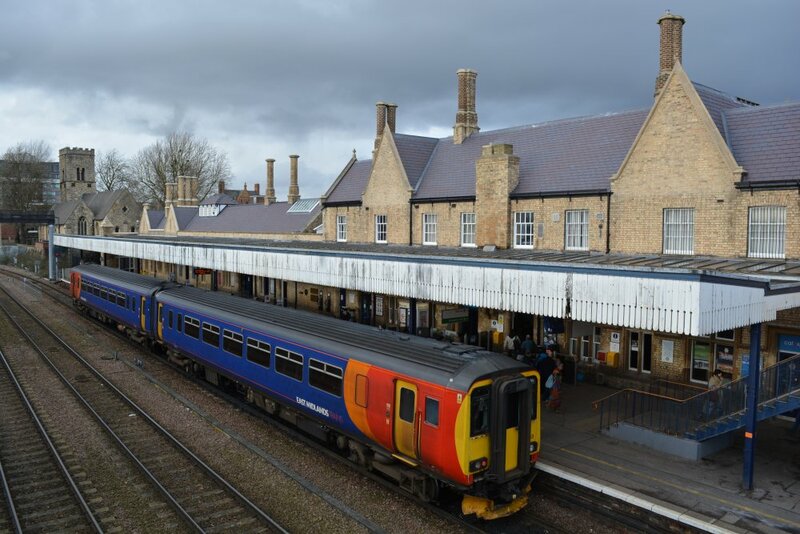 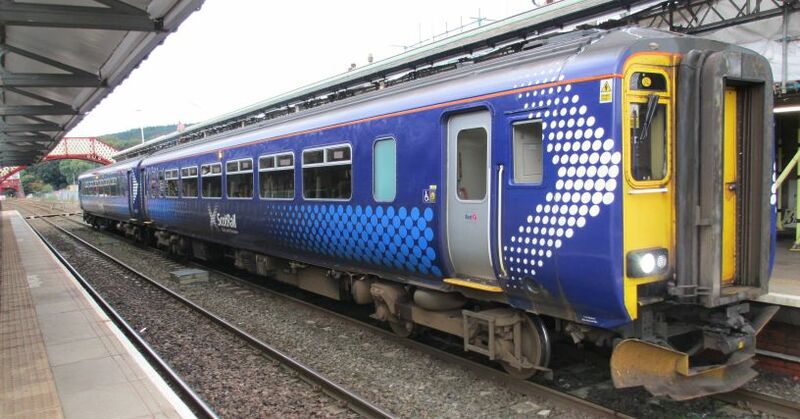 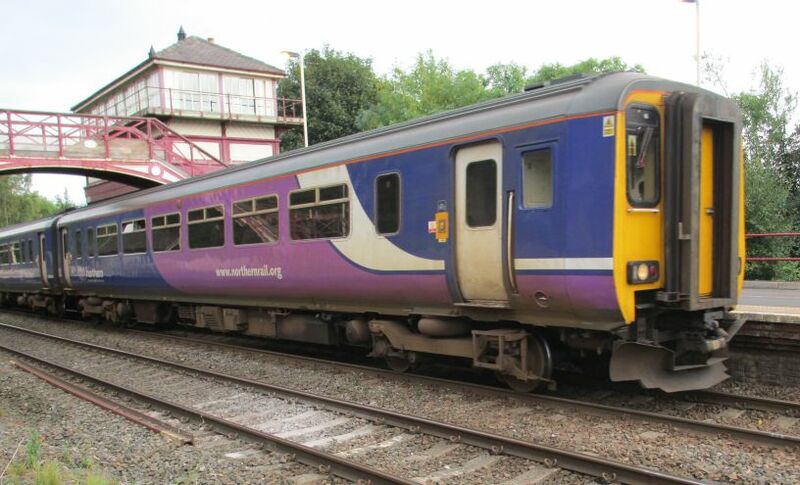 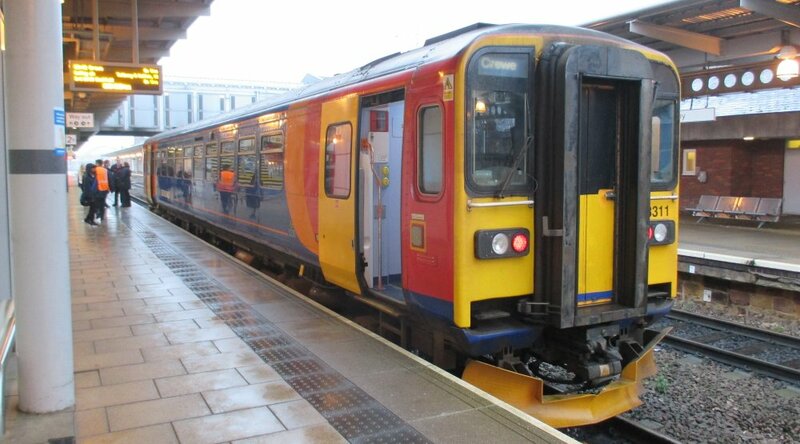 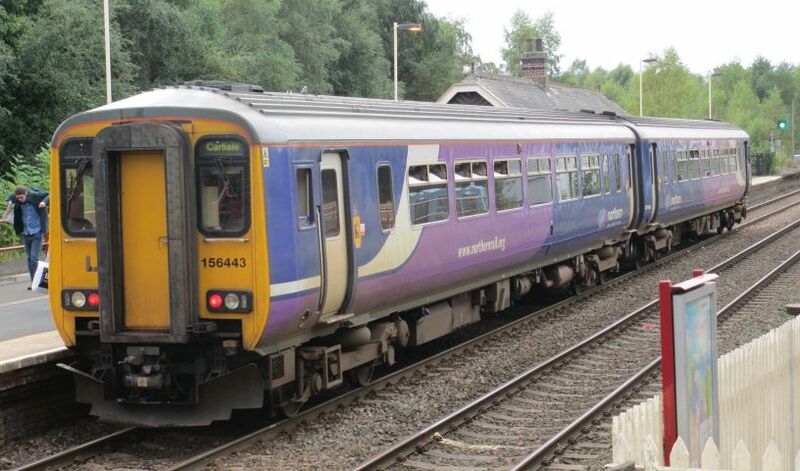 Class 156 units DMSL-DMS were built of steel in 1987-1989 with a maximum speed of 75 mph. 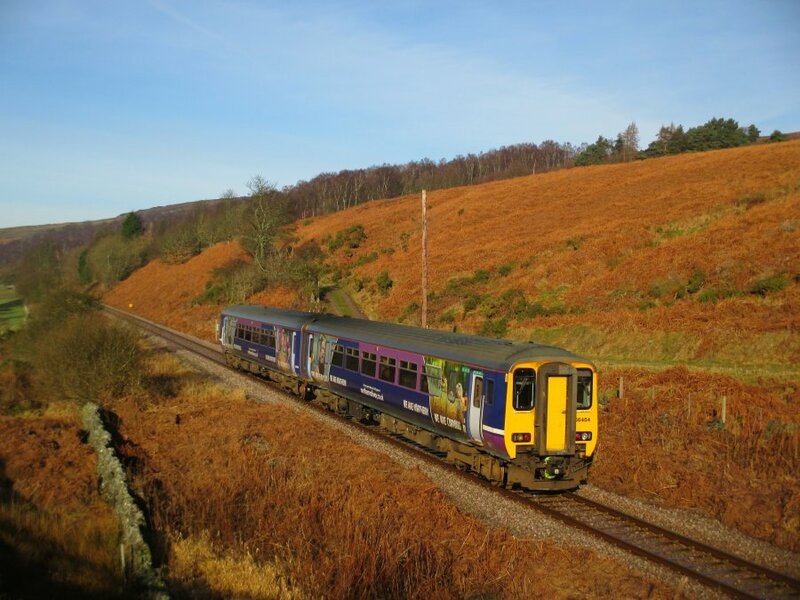 A Northern Rail Class 156 DMU passing the site of Gilsland station with a Carlisle to Newcastle service. 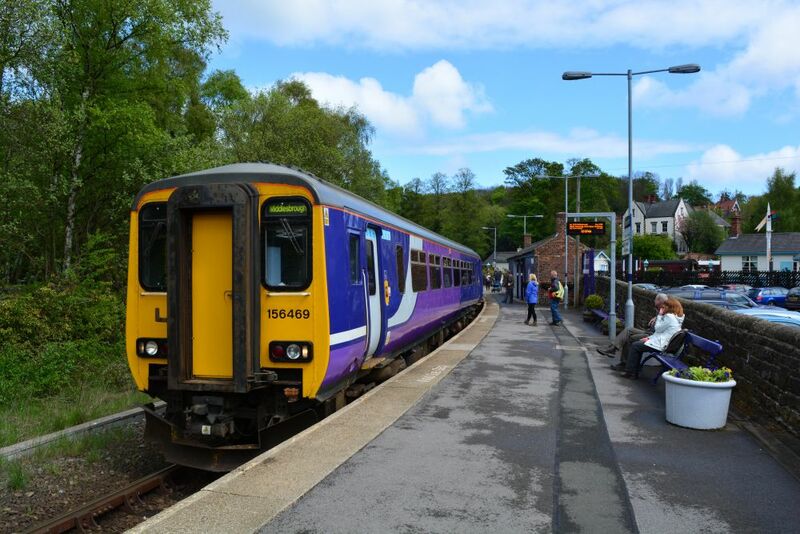 Class 156 DMU 156454 photographed between Castleton Moor and Danby stations with a Northern Rail service from Middlesbrough to Whitby. 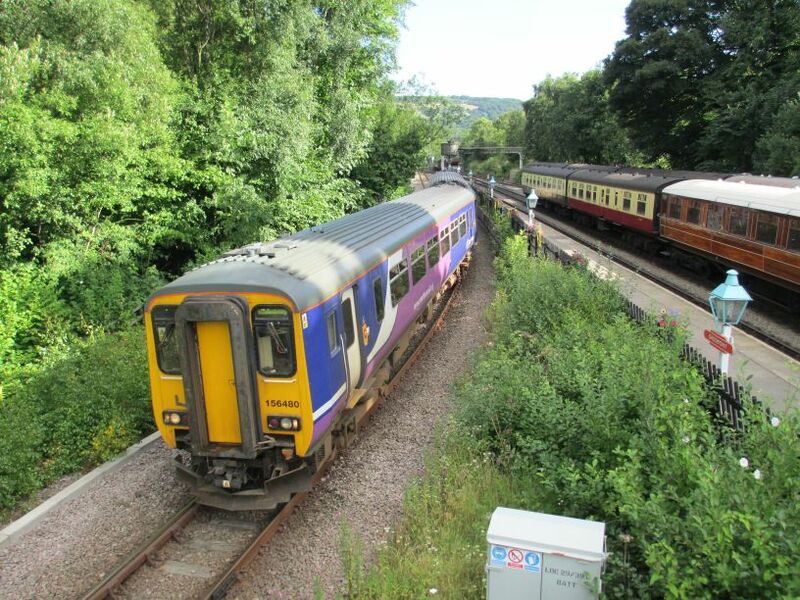 Class 156 DMU 3-car unit 156469 stopping at Grosmont station with a Northern Rail Whitby to Middlesbrough service on the wonderfully scenic Esk Valley Line. 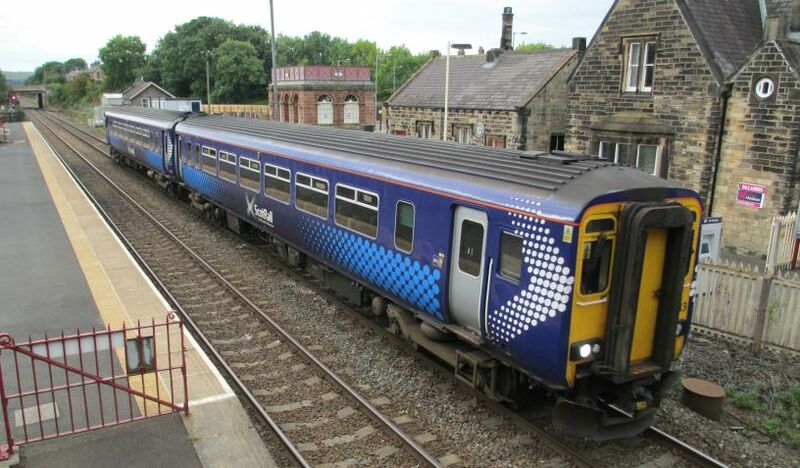 Class 156 DMU set 156481 at Hexham station with a Northern Rail service from Carlisle to Newcastle. 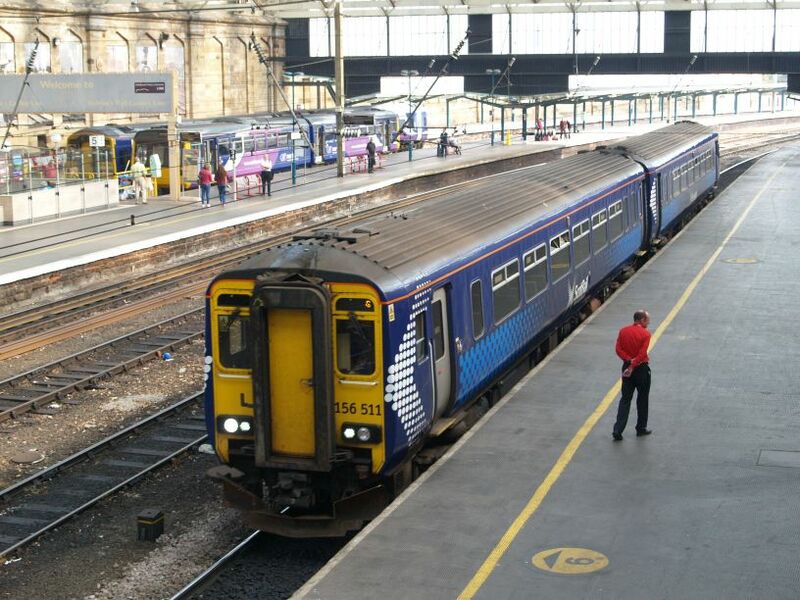 Class 156 DMU 156446 at Carlisle station with a ScotRail service from Glasgow to Newcastle, Class 156 156511 with the Newcastle to Glasgow service. 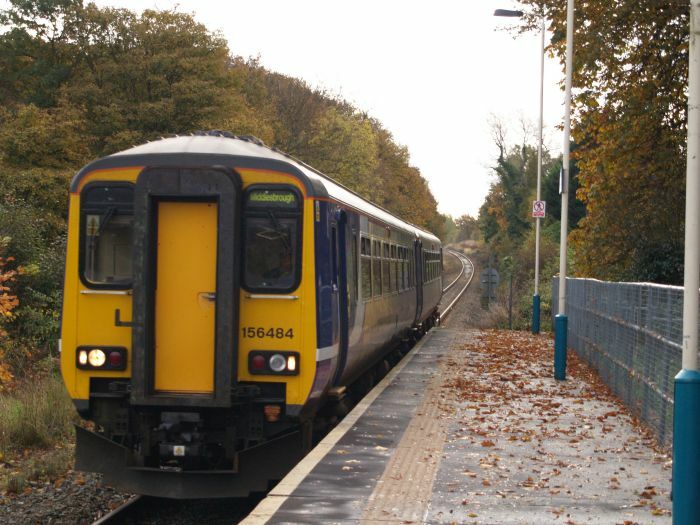 In Arriva livery, Metro-Cammell Super Sprinter DMU Class 156 156486 (156 486, Class 156 carriage nos. 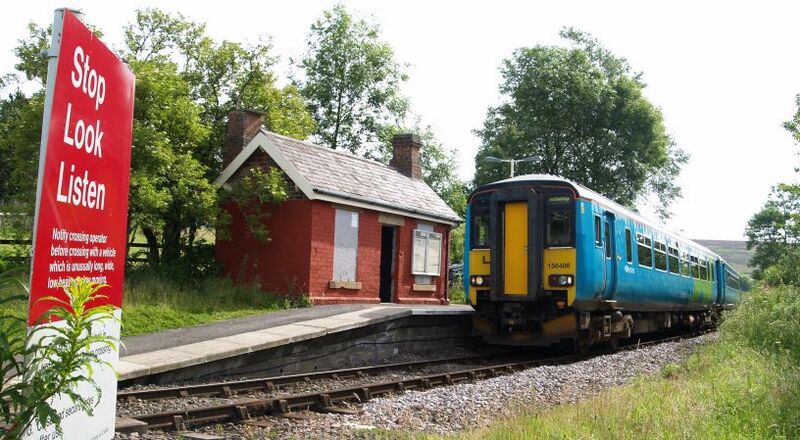 52486 and 57486) at the tiny Commondale station on the Esk Valley railway line with a Whitby Middlesbrough train. 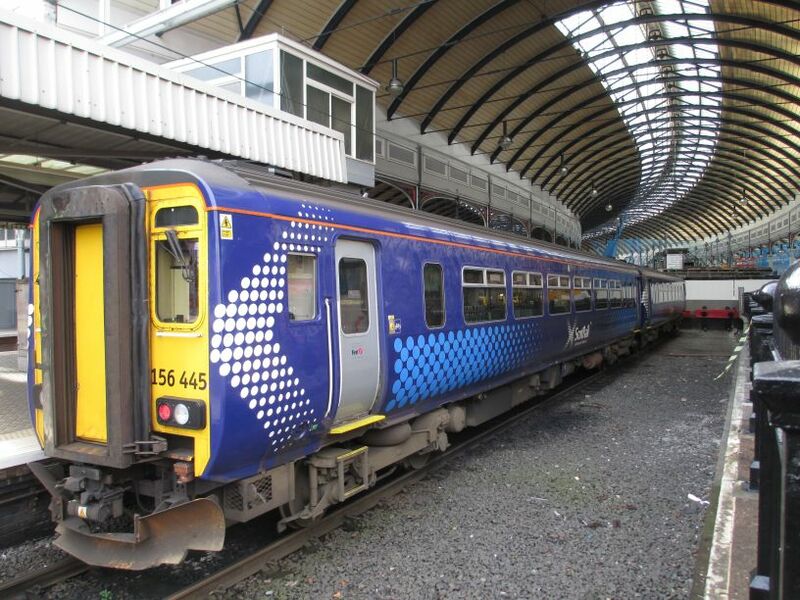 ScotRail Class 156 DMU 156445 at Newcastle Station with a train for Carlisle and Glasgow. 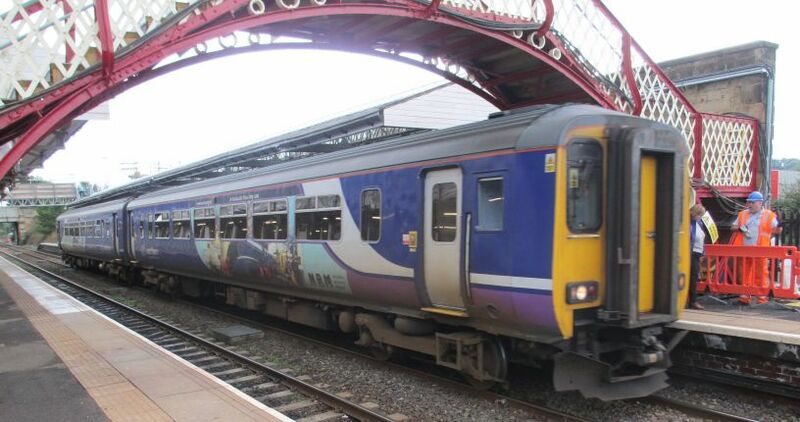 Northern Rail Metro-Cammell Super Sprinter Class 156 diesel multiple unit 156484 (156 484, class 156 carriage numbers 52484 and 57484) standing in Middlesbrough station (train?). 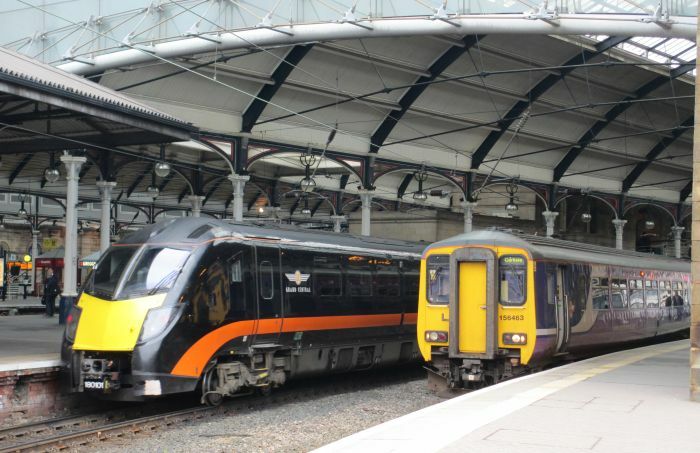 On the right is Northern Rail DMU Class 156 156483 (on the left is a Class 180) standing in Newcastle Central Station with a train for ? 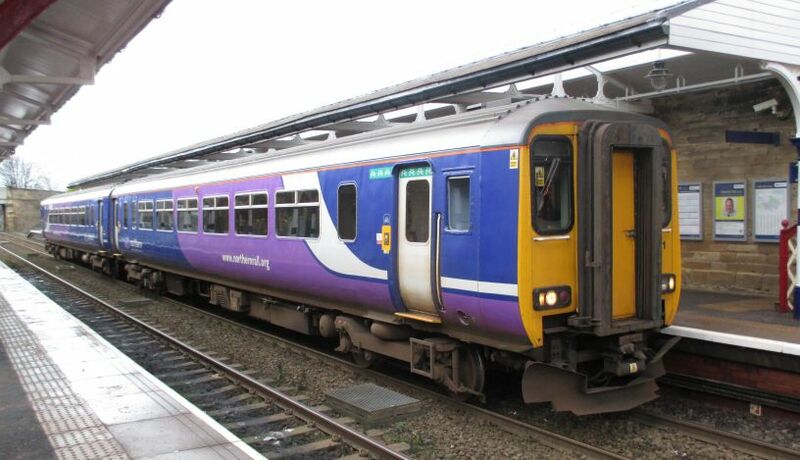 Northern Rail Metro-Cammell Super Sprinter Class 156 DMU 156444 (Class 156 carriage nos. 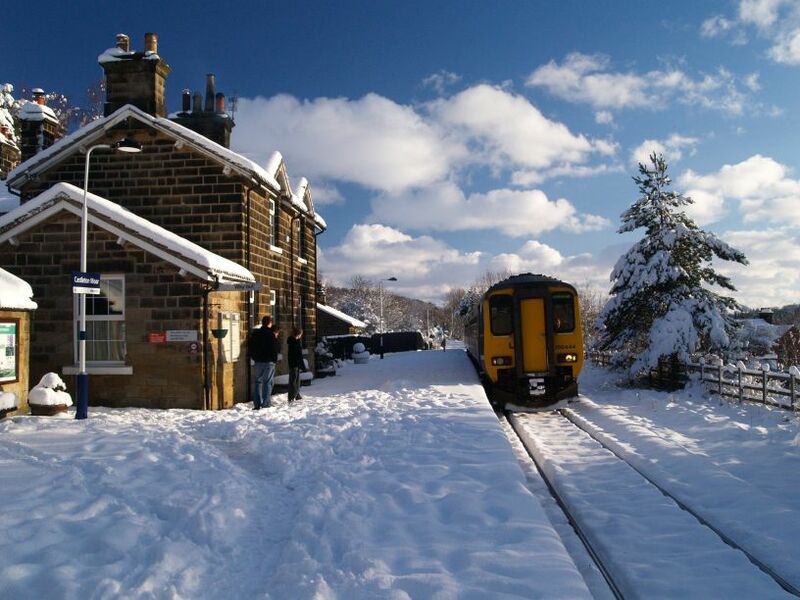 52444 and 57444) at Castleton Station with a Whitby-Middlesbrough train on a very wintery morning in the Esk Valley of North Yorkshire. 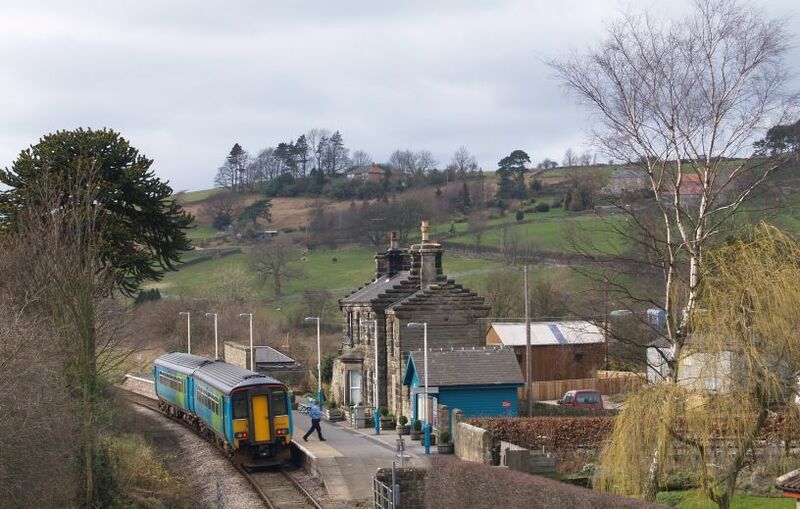 Arriva trains Metro-Cammell Super Sprinter Class 156 156491 (156 491, Class 156 carriage numbers 52491 & 57491) leaving Danby Station with a Middlesbrough Whitby train. 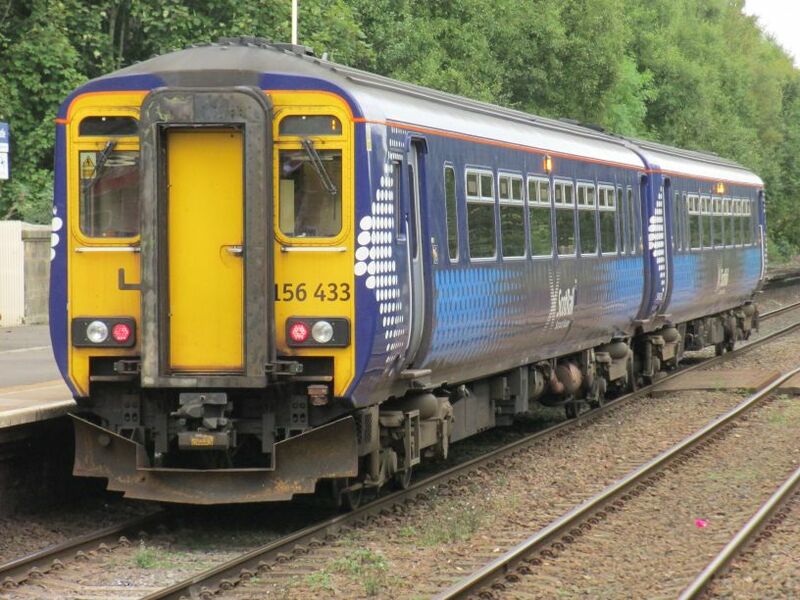 Arriva trains Metro-Cammell Super Sprinter Class 156 156454 (156 454, carriage nos. 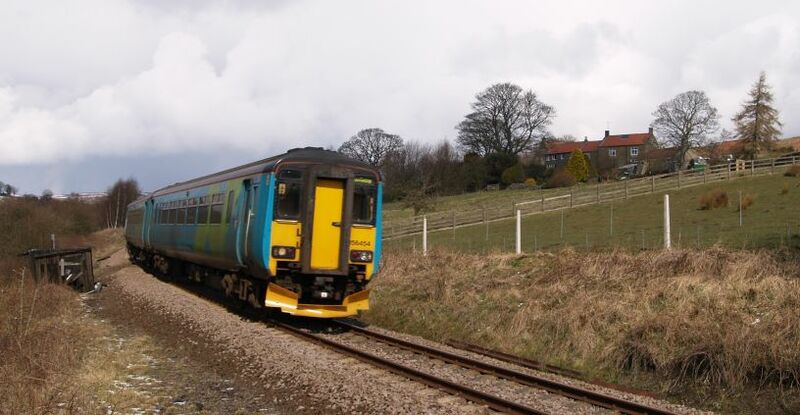 52454 & 57454) passing Box Hall between Commondale and Castleton with a Middlesbrough -Whitby train. 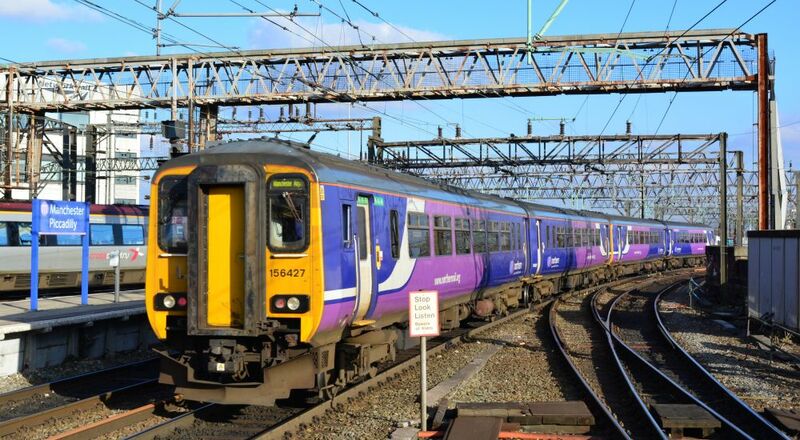 Descending down to Wigan Wallgate station, a two carriage Class 156 DMU 156421 Northern Rail service from Manchester Airport to Southport, observed from Wigan NW station. 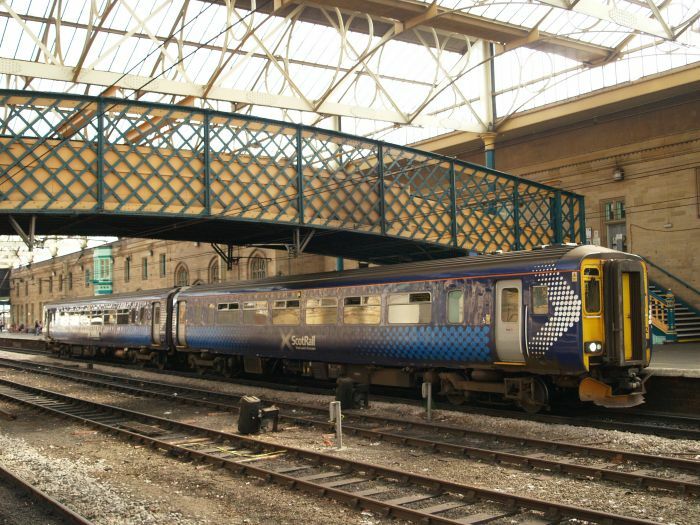 A two-car Class 156 DMU waits at Carlisle with a train north to Glasgow. 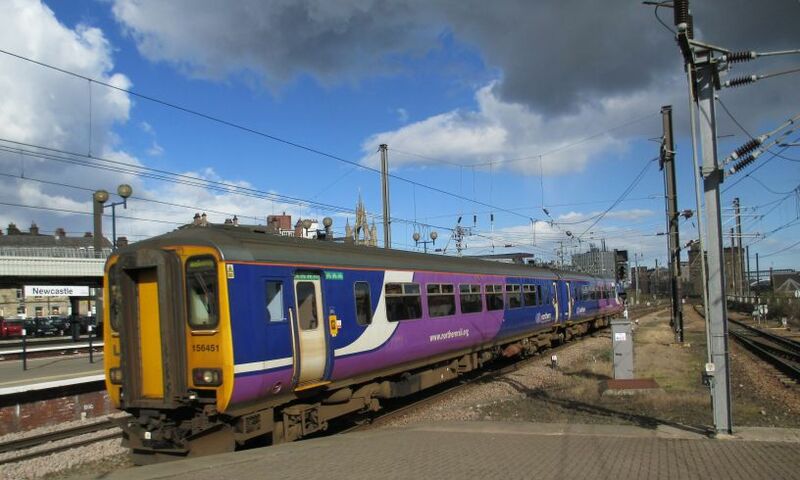 A two-car train Class 156 DMU 156444 arrives at Middlesbrough Station with a Northern Rail service from Whitby. 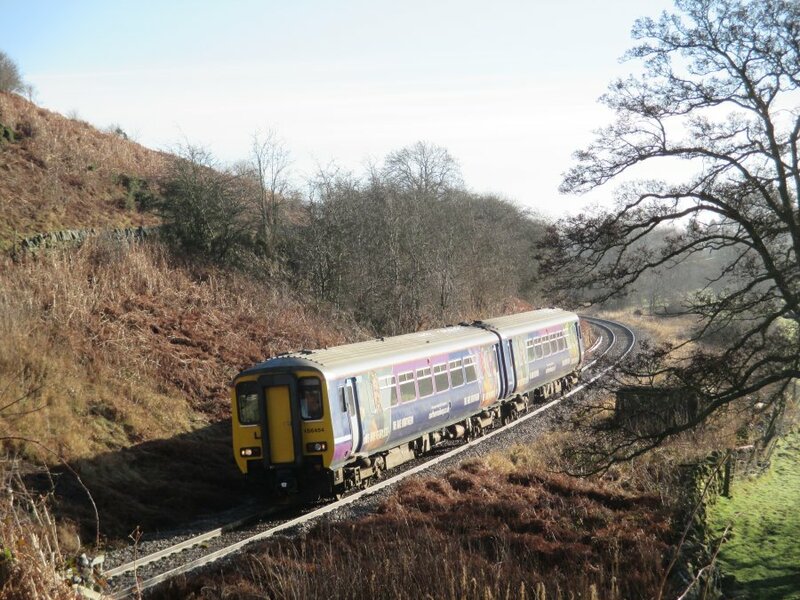 A two-car Class 156 DMU passing Melkridge between Hexham and Haltwhistle. 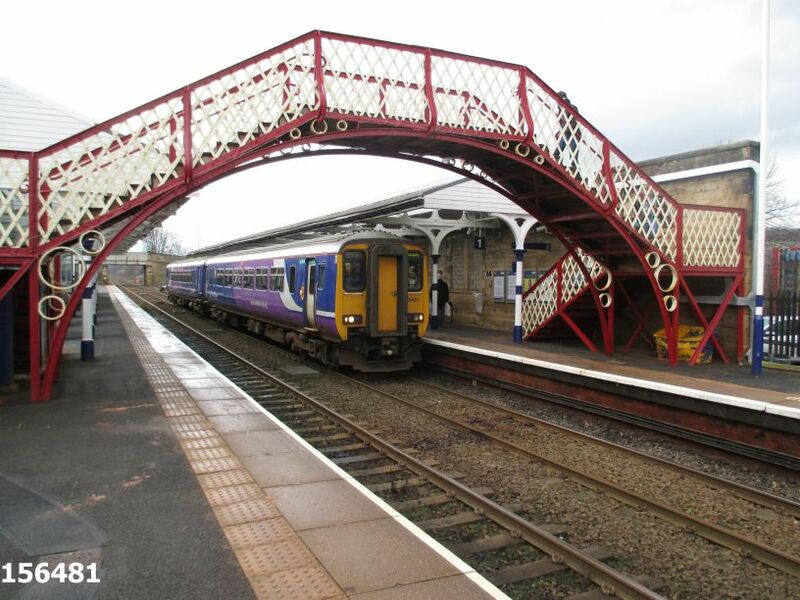 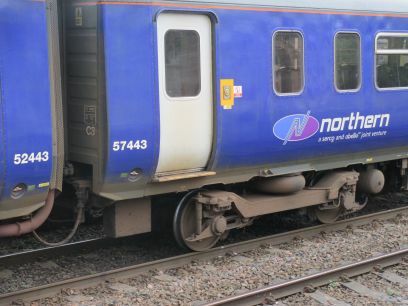 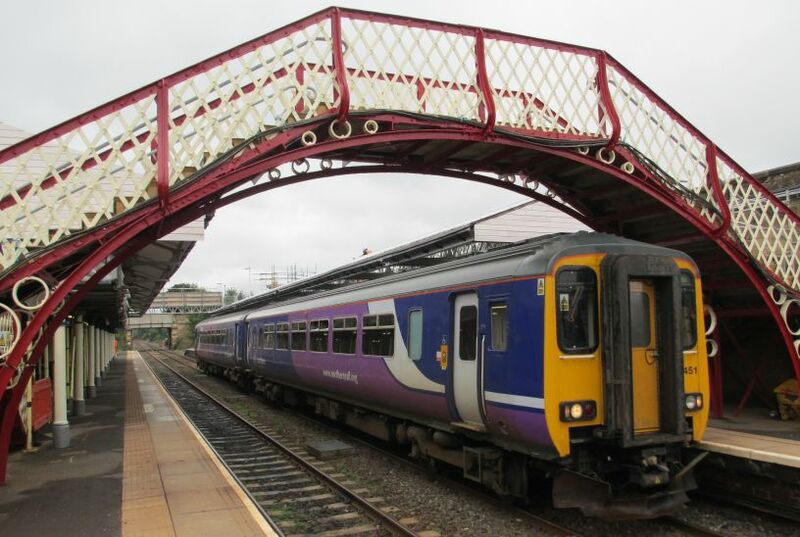 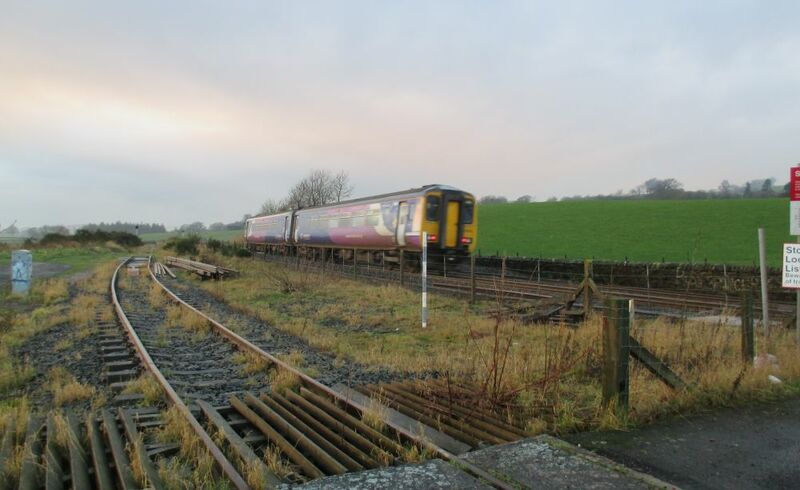 The dark winter sky in January 2015 fits in with heavy rain that had fallen causing landslides to block the Newcastle -Carlisle line between Hexham and Prudoe.